The People In Fog is back again with our 11th release. 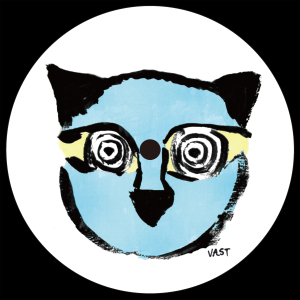 As smooth sky blue colour cat can represent, this EP has a smoother beat than its usual style. If you remember its previous EP with a darker colour, now the punching kick and identical house bass are gone and this EP is true showing off the producer’s ability as a musician who can adapt to any kind of diversity. The first track “Last Song” has deep bass and atmospheric sounds, like a typical Romanian loop, but after the long trippy beat when the piano sounds kick in, the atmosphere changes and brings back the emotion. The second track “Get Funky” is also truly hybrid version of house, while the combination of funky vocals and the endless hi-hat and shaker keep the groove tight and the deep down pad sounds mixed smoothly with the forest of beat make for a truly a unique character. The last track “Alright” is a very joyful one, even though it uses a typical funky house vocal sample. Its unique way of playing percussion and vocal keep the groove totally “all-right”. If you want to share The People In Fog’s musical quest, you should try out this EP.